The meals at HOC are family-style and 'kid friendly'... well-balanced and substantial for active campers of all ages. Breakfasts, lunches and dinners all consist of hearty and well-balanced food that is substantial enough for our active campers. Home made soups, entrees, bread, and baked goods are prepared fresh and served daily. Full salad bar is available during certain meals with a variety of greens, veggies and toppings. 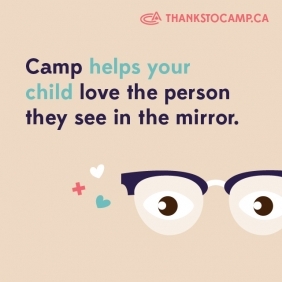 And the family-style services means your camper will have enough to keep them satisfied! If your child has any food allergies, the health care staff will brief the Chef and the menu will be adjusted on an individual case by case basis. If the allergy is severe, parents may review a copy of the menu for the week and they may need to supply alternative food choices for certain meals (if deemed necessary). Click here for more information on what our Chef can provide for campers with special diets and allergies. Although we are not deemed “nut free” our tuck shop and kitchen do not stock any products that contain visible nuts or nut products. All campers receive an evening snack after a busy day of camp. Campers in our oldest two sections (Intermediates / Seniors) who skate in the evenings will receive an evening “Meal Pack” after returning from hockey. This hearty meal will help our older campers satisfy their after-hockey hunger.